Capacity is the ability of the buyer to pay the mortgage. A HomePath loan removes the collateral element from the equation because Fannie Mae already knows the value of the property being sold and its condition. Finally, the loan does not require mortgage insurance to be obtained. This is true regardless of the amount of the down payment. In contrast to an FHA or conventional loan, mortgage insurance is required unless 20 percent or more is put down on a conventional mortgage. 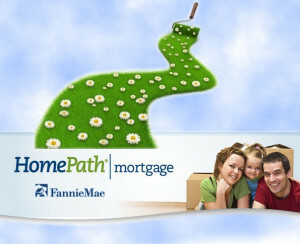 HomePath Interest Rates HomePath mortgage rates are determined based on the amount you put down and credit score. Expect your interest rate to be higher if putting 3% down oppose to 5%. The more you put down up until you reach 20% down the lower your interest rate will be. However, the cost is offset by the mortgage insurance savings and a cheaper alternative to an FHA loan. When putting 20% down you can expect your rate to be the same as a 20% conventional loan.